When it comes to bags and backpacks, ONA isn't known for making anything cheap. Their premium bags have caught the attention of many photographers, myself included. 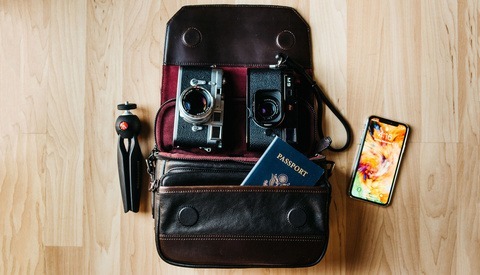 I was very pleased when ONA sent me The Prince Street to review because aside from a few minor issues, this is without a doubt the best messenger bag I've ever used. 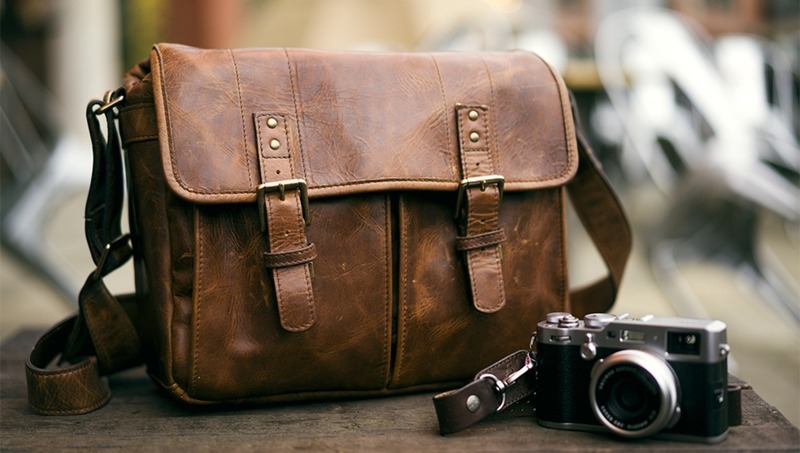 For many photographers having a good functional messenger bag is very useful. The problem with functional or practical messenger bags is that for the most part they're not the most premium feeling or looking. Fortunately, the ONA Prince Street messenger bag might be the perfect balance between being practical and stylish. This is something I noticed about ONA as a company, they seem to strive to develop products that are not only premium but also practical for working photographers. 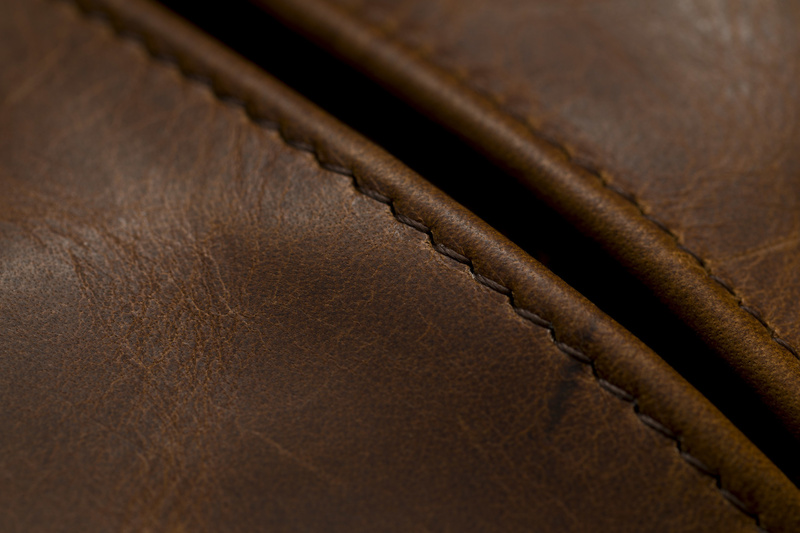 The exterior of the bag is almost completely made of a very high-quality, supple leather. ONA uses full grain leather in their bags which is the best type of leather in terms of the various grades. This gives the bag a look and feels that's simply sublime. The solid brass fittings also add to the overall quality and carrying this bag around really does feel great. This I feel is appropriate considering the company name is derived from a Swahili word that means "to feel" or "to experience". There definitely is an experience when using this bag. I might be overdoing it here a little but that's just how it made me feel when I was walking around with the bag. The issue with carrying a messenger bag that feels and looks this premium is that people will notice and sometimes it may not be with the best of intentions. For the most part, however, it's been quite a good conversation starter, especially on commutes. Now we know the materials used by ONA are extremely good, but, what's the Prince Street like in regards to usability and design? Well, aside from the minor points which I will be discussing, I found it to be pretty good. The shoulder strap comes with a padded section that can be adjusted which is useful because some messenger bags require you to purchase the padding separately. The issue is that the shoulder pad isn't easy to move when you're carrying the bag which means any adjustments on the go require you to set the bag down. Not a major detraction by any mean but just one of those little things. Also, the brass clips, they are fantastic in quality and feel great. The click sound they produce is very satisfying to hear. Unfortunately, one-handed use is very difficult. With some other bags I can very quickly and easily open and close them with one hand and I don't need to pay full attention to the bag. With the Prince Street, closing the top section always seemed to require two hands and this meant I was fumbling with the bag instead of taking the shot I wanted. The only other negative I found about this bag was that the shoulder strap isn't as thick or wide as I would have preferred. Even with the padded section, it's not the most comfortable strap I've ever used. Sure the quality is exceptional and the leather feels amazing in the hand, the problem is the weight distribution. Due to how slim the strap is if you put in one lens too many, it quickly becomes very uncomfortable. Personally, I never like to put too many things in any bags or backpacks I use, I've started to become more efficient in what I need. Based on that I find the Prince Street actually helps in that regard. I will always question that extra piece of gear and how important it is for me to carry. Even still, I can carry a good amount of gear that I actually need, comfortably. 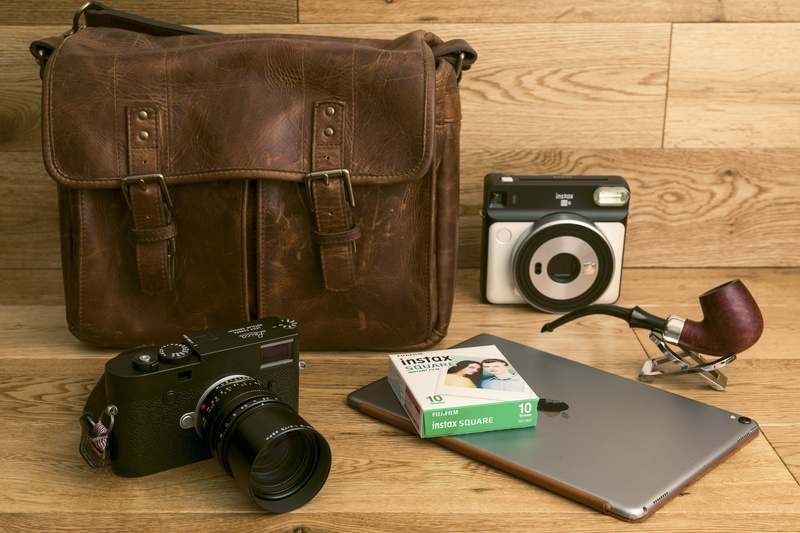 For the most part, I'll carry a small mirrorless camera like the Fujifilm X100F or as the image above shows the Leica M10-P with the 75mm f/2.0 APO. I also always have my iPad with me and the magic keyboard, the Instax SQ6 with extra film and something to enjoy any downtime. Price is something that many of us are going to be interested in and you may be expecting me to say something about how it costs too much. Actually, I think this is really well priced. This might not be a popular opinion, but, I think this bag in full leather is very reasonable when it comes to the price. The quality of the leather, the overall design, and craftsmanship that goes into developing these bags really does warrant the $389.00. I mean there's just no getting away with how beautiful this bag is. Quality wise this is second to none. 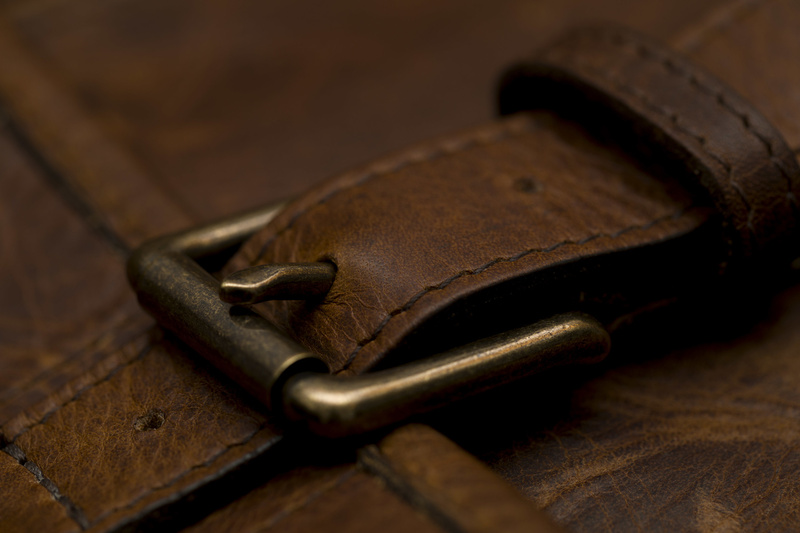 The leather used is some of the highest quality available. Offer a comfortable amount of space to carry equipment. The shoulder straps need to be thicker. The fastening clips require a little fiddling if you're closing the main compartment. The front smaller pockets don't offer a huge degree of space. 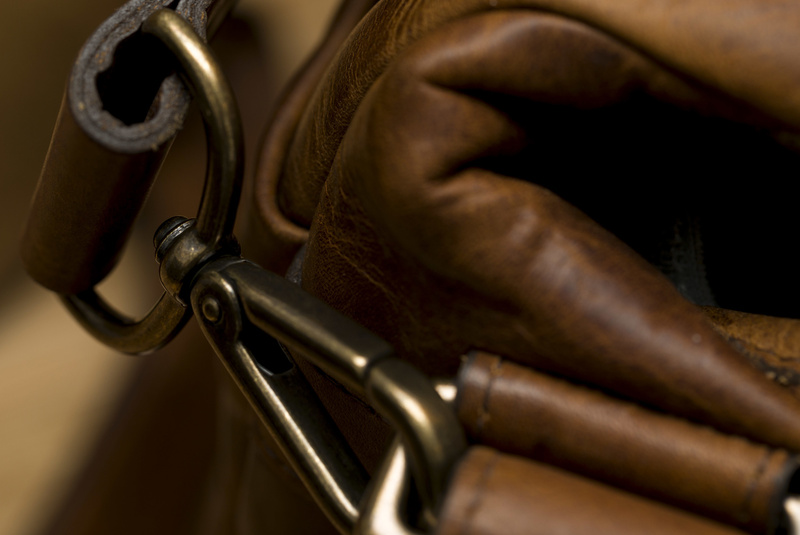 Leather requires more care than many other materials. Has a cost for maintaining. "Buy cheap, buy twice", that's the thought that comes to mind for me when I'm considering bags and backpacks. They carry our cameras and lenses, which for many photographers cost far more than what this bag does. Premium products made with high-quality materials come at a cost. 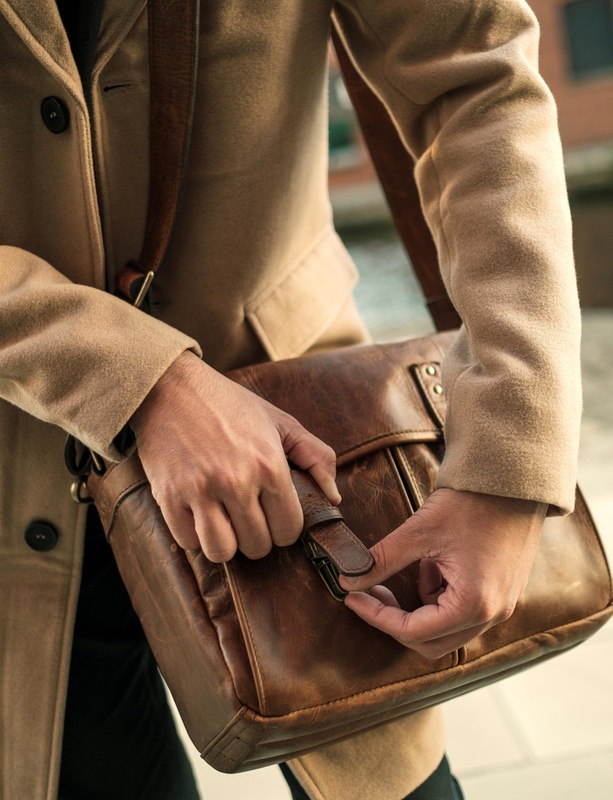 Sure, you might be able to point out some alternatives but there's a reason ONA bags are consistently considered one of the best options. 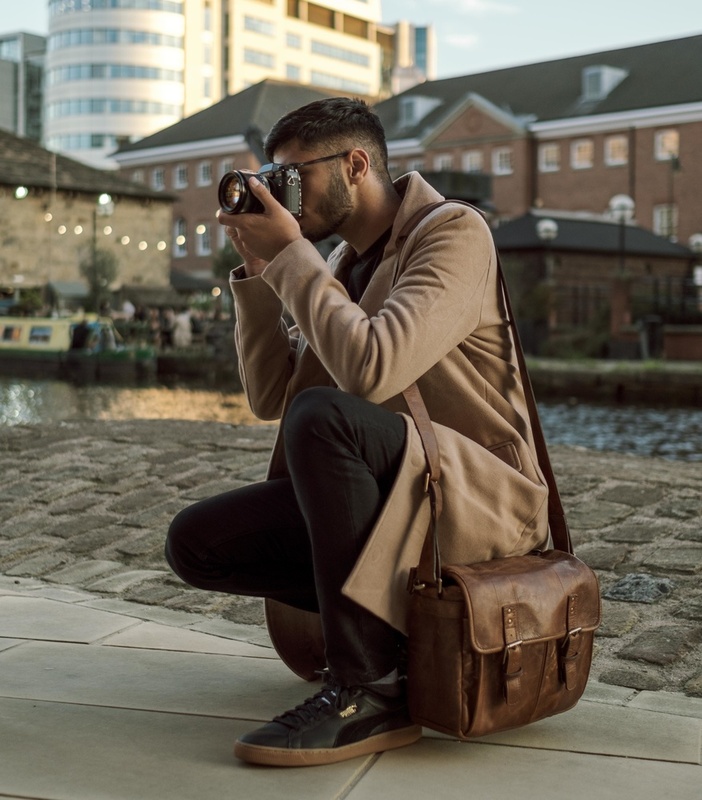 They make extremely high-quality bags for photographers that are not only stylish but very practical too. You may be tempted to get a larger bag that can carry more equipment, but, what I love about this bag is that it makes you more efficient. Carrying a ton of equipment gets very tiresome very quickly. On that basis, this bag is the perfect size, it's not too small, and it's not huge. 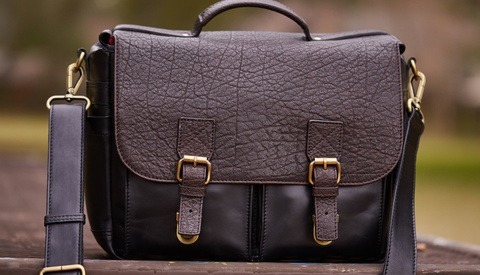 Ultimately, aside from some minor design issues and the shoulder strap, I have to say this is one of (if not) the best messenger bag currently available. You can purchase yours using the link here. Lol, fair enough it's not for everyone but I think its a fantastic bag and high-quality items tend to come with premium prices. It's pretty, but it's not very practical. There's a reason working messenger bags and military and LEO gear aren't built out of leather - it's pretty but cordura is tougher, cheaper, resists water better, and is easier to shape so that the flap provides decent rain protection - which this doesn't. In fact from the images it looks like the strap is pulling the lips of the bag out from under the flap to let rain in. Buy for pose value and ruin your camera gear. ..Honestly, you can ebay unused waterproof military surplus that's designed to hold gear soldiers lives will depend on and it will cost you a twentieth of those hipster toy. Eg a pair of rubberised cordura respirator bags which you link with a swivel - and then you can buy a much more ergonomic strap like an optech swerve. I agree about leather and water. It does require more maintaining and it may not last as long. Having said that leather is a much nicer looking and feeling material. Photography, fashion, and style go hand in hand. You can make similar arguments for clothing too but people value aesthetics and style. >> You can make similar arguments for clothing too but people value aesthetics and style. I value not destroying my camera equipment or injuring my neck. The design of that bag is a disaster - the straps are placed so that they pull the mouth open letting water in, and the ergonomics are just poor. Do you take photographs for people to look at your work or to look at you? If you wanted to go a middle way, then a waxed canvas messenger bag with a floating tarp liner would be a lot better - a true messenger has an oversize flap and the strap attaches so that tension in it doesn't pull the lips of the bag out past the cover of the flap. Or a rolltop would be even better. But bag is about as badly designed for protecting gear as you could get. I highly recommend you don’t put any shoulder strap around your neck. It's good that you know not to wrap things *around* your neck - well done! However, if you were trying to say that you thing a shoulder strap shouldn't be work diagonally, across the neck, no you're wrong. And if you think that a badly designed strap - like that one - can't do damage because it is worn on the off shoulder, no, you're wrong. 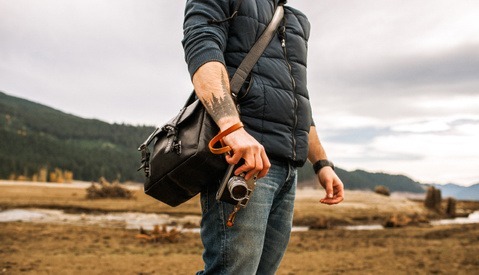 Companies building bags for messengers have literally decades of experience in building shoulder bags that protect the contents and have good ergonomics; this hipster atrocity seems to ignore every single one. ...See how the flap fits around the outside of the opening, closing it on all sides? That's the first thing you want on a gear bag. The second is that the straps don't attach in a way that pulls the mouth of the bag open under pressure - that's why the straps here attach on the back, not the side. ...Your bag fails both tests. Objectively, it's bad. A gear bag that doesn't protect equipment can't be anything else. Have you used the bag to determine all the points you’re coming up with? Also I had some time to properly read your previous comment. Do you think the way you look or the way you present yourself has no impact on your clients perception of you? Or even general perception of who you are and what you’re like. You can assume an ideal reality where everyone is perfectly represented all of the time but that doesn’t happen. You might not like this bag because it looks too nice and you want to remain discreet, that’s perfectly fine. That doesn’t mean that people who do want something premium are wrong for wanting it. 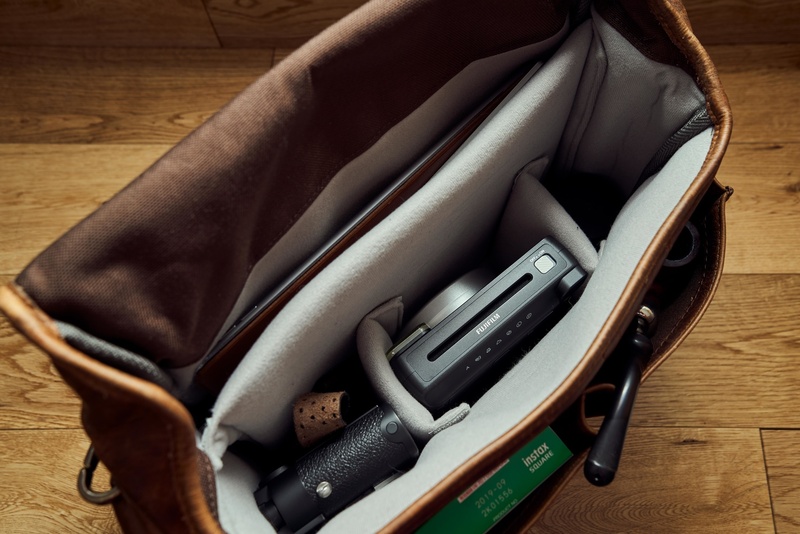 Also it protects equipment very well I’ve been using it for some time now with medium format cameras the Leica M10-P and several other full frame cameras. All of them were very well protected even in rainy England. I’ve used this bag for years. In rain, up mountains, etc. My gear was always protected. Never wet or damaged. Sorry, but you’re wrong if you think it’s “objectively” bad. Not for you? Sure. Cheaper, more utilitarian options? Yep. But it does carry and protect camera gear. You can not like something and that doesn’t make it bad. If it's not in your income bracket then not a problem, go for something cheaper and more practical. Holy heck no need for that is there? Calm down! If I were to explain it's obvious that it would be well over your head lol. Does it come with the pipe? Or is that a required accessory before you can be considered an acceptable owner of their rather costly bags? Comes with a pipe. A monocle is a pre-requisite, however. I've used this as a camera bag and everyday bag for around 4 years. The lining and velcro separaters allow you to make it into a messenger bag too. It's a wonderful bag and a good investment. Haters, as they often do, will continue to hate! First, I think it's hilarious that there's a pipe in those photos. Second, I have one of these (a gift) and I definitely feel it's the right size--the bag itself is significantly heavier than a typical canvas or nylon bag and I wouldn't want it to be heavier--although it does force you to be selective with your gear. When I had an M9, I thought it was just the right bag for that. A smallish DSLR with a 50mm can still fit though with another lens or flash for a streamlined kit. I thought the pipe was appropriate haha. I normally smoke cigars and they're normally carried in a case so generally not an issue. I'll smoke a pipe on occasions but not very often, cigar tobacco tastes better to me. Last year I was thinking of asking for this bag for Xmas. My wife wanted to buy me something nice so I thought that could be it. However, after doing some long research on the Net I found quite a number of people were complaining about quality issues. The bag is good looking but at that price it should be holding for many years. Am I the only one who refuses to buy any bag of this type (camera-equipment-specific or not) with those kind of belt-buckle type buckles? I find them a complete PITA to use when compared with zippers, those plastic pinch buckles or go ol' velcro. Of course, anything plastic or zippers or velcro would be totally out of place on this bag, though. I guess I just go for function over form. Oh hot diggity, that's a looker! So other than the uncomfortable strap and missing shots bc you’re fumbling with the clasps, it’s a great bag? Honestly, the LAST thing I want is a noticeable bag. I have a cheap (under $50), very comfortable, safe (zipper with flap over it with magnetic fasteners) canvas bag with a very thick camera insert that I got on Amazon. It looks like I’m carrying my lunch and a paperback, and that’s exactly what I WANT it to look like. I can afford more, but I don’t do the poseur thing. Also, no pipe. Yeah, you're probably right about the pipe, I'll stick to cigars :). I own this bag, it's a beauty! Not too big, not too small! for 400 of the best from my bank, I think Billingham Hadley One is a much better camera bag and looks great too. In my opinion, both are over priced though. One can easily get 2-3 Lowepro in the same budget to fit different needs and situations. Well each to his own, Billingham seems better though. This bag isn't for everyone... it won't fit my 15" laptop, it is not a fast or easy opener, the bag is on the small side and my biggest complaint is that the strap does not rotate so nothing is quick and easy about this bag, except it's looks and feel. Picked up the Nikon version and use it every day when I need a bigger bag I switch but like the looks and feel are second to none. Have had not had any problems with the construction, think some haters posted that info. Would not have bought it if I wasn't a Nikon fanboy and got it on sale.